Thanks to the hit movie Bull Durham, the Durham Bulls are the most recognized name in minor league baseball. Since 1902, the Durham Bulls have helped to develop the Triangle community. Playing 144 games each season, the team is a member of the International League and the Triple-A Affiliate of the Tampa Bay Rays. Overlooking historic Downtown Durham, the Bulls play in a stadium designed by the architects of Camden Yards. The Bulls have provided affordable sports entertainment in Durham for over a century and continue to do so. Winning its first championship in 1917 as a member of the North Carolina State League, the team has since won twelve more, including four League Championships and a National Title since its transition to Triple-A in 1998. Many famous Major League players have worn the Bulls jersey, including Hall of Famer Joe Morgan, Andrew Jones, Bob Boone, Carl Crawford, Chipper Jones, David Justice, David Price, Evan Longoria, Greg Luzinski, Ron Grant, and Wil Myers. In addition to its significant baseball achievements on the field, the minor-league Durham Bulls play a major role in the community with programs like the Durham Bulls Youth Athletic League and Bully Busters Anti-Bullying school assemblies. Civic organizations volunteer at ballpark concession stands to raise money for their organizations. Team mascot, Wool E. Bull, makes over 2500 appearances in the community each year. The team donates thousands of tickets each season to charitable events. The Durham Bulls Athletic Park celebrates its twentieth anniversary and its ten thousand seat stadium in Downtown Durham is known for sporting a grand-slam ballpark experience. With twenty million dollars spent in renovations like added improved seating areas, more comfortable seats, and new video signs. The Bulls have also created a new hospitality group manage the food and beverage options in the stadium. The goal is to focus on giving visitors a taste of Durham during the game. 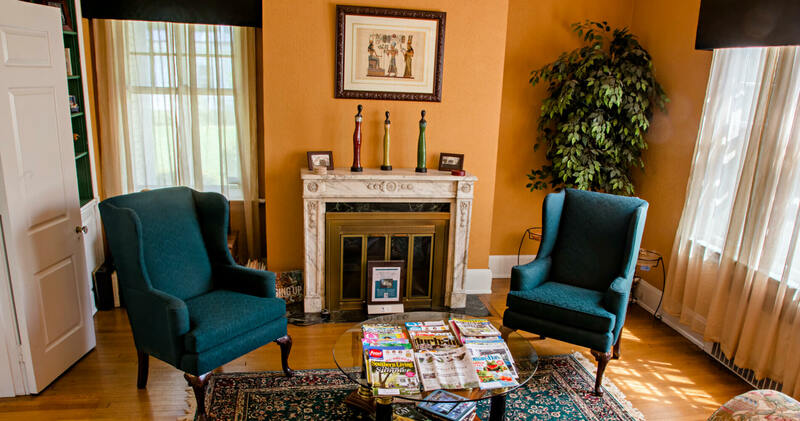 Guests of Morehead Manor Bed and Breakfast like to attend the local games of the Durham Bulls baseball team. Whether you are a sports fan or not, we love stepping in to our kitchen and serving up plates full of gourmet breakfast deliciousness. We have many common areas for our guests to enjoy and our luxurious rooms give our guests a restful night’s sleep. We look forward to your Durham, North Carolina visit! This entry was posted in Uncategorized and tagged anniversary, championship, community, downtown Durham, Durham Bulls, Durham Bulls Athletic Park, events, minor league baseball, Morehead Manor Bed and Breakfast, renovations, sports, team mascot Wool E. Bull by admin. Bookmark the permalink.